MNP flowers market Suntory® genetics. We offer flowering ornamental plants for every garden or balcony. From Surfinia® and Million Bells® to Sundaville® and Princettia®, the collection includes only innovative top-notch products. Suntory® genetics are known for their superior garden performance and bring masses of flowers and vivid colours to their surroundings. The Japanese company Suntory is an important player on the international market with a range of different products including food, beverages and flowers. 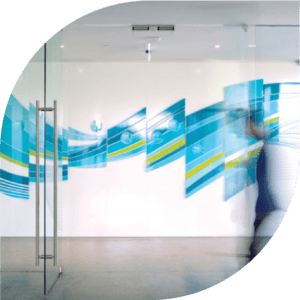 The company’s mission is to bring joy into the lives of its customers. Flowers are perfect for bringing happiness into people’s homes and gardens, and MNP flowers is justly proud of its partnership with such a pioneering and innovative company. In 1989 MNP flowers (formerly Moerheim New Plant) started a partnership with Suntory Flowers Ltd. to introduce Surfinia® onto the European market. Surfinia® was the very first trailing Petunia grown from cuttings and a real breakthrough in the horticultural sector. It was the initial step in a long series of innovative and successful bedding plants, all vegetatively propagated. The strength of the breeders at Suntory Flowers Ltd. lies in their natural instinct for spotting trends in the horticultural sector even before these have properly emerged. Suntory® has a new corporate identity. The new logo represents the energy of water, the source of all life on earth and hence the source of Suntory® genetics and its products. The fresh blue colour, representative of water, epitomises the corporate philosophy: Suntory is fresh, free and flexible. Suntory® is always open to new challenges and is keen to make sure that the joys of water are appreciated by everyone in the shape of its developed flowers and plants. This corporate movie shows you all the activities of MNP flowers. Each year, MNP flowers selects new and innovative varieties. introduce new ornamental plants that are highly appreciated throughout the whole market chain. MNP flowers was established by the renowned ‘Koninklijke Kwekerij Moerheim’ (Royal Nursery Moerheim) which was founded in 1888. MNP flowers has always been an innovator and creator of new plant varieties. It was one of the first companies to actively promote its many new products, including the innovative pink Delphinium in the 1930s and the cut rose Sonia® in the 1970s. As a producer and selector of roses from the French breeder Meilland, MNP flowers built up contacts with many foreign business partners. Through one of these business relations, a Japanese company, MNP flowers learned of the first Petunia trials planted in a field next to the trial ground for roses. Initial discussions with the breeders of the trailing Petunia Surfinia® soon commenced. This all happened between 1987 and 1992 and resulted in a unique cooperation with Suntory Flowers Ltd. Since 1947 Meilland Nederland (the Netherlands) has been the licensor and distributor for Meilland International in the Benelux countries. Meilland International is also the main shareholder of MNP flowers. MNP flowers obtained the European rights to all future products from Suntory Flowers Ltd. 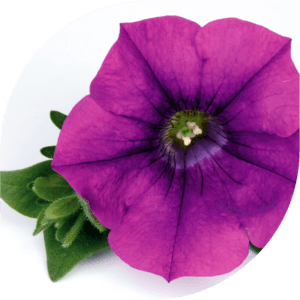 They launched the Surfinia® Petunia onto the market together, employing a unique system. The first Surfinia® varieties date from 1989. Still, the products and its brand name are one of the few to have asserted themselves on the market and which are recognised by European consumers and far beyond. 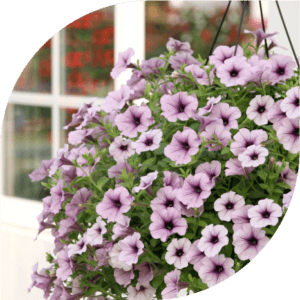 In addition, Surfinia® has been the market leader in the trailing Petunia segment for many years. After Surfinia®, other new innovations followed, such as Calibrachoa, sold under the brand name Million Bells®, and Verbena with trade names including Tapien®. These products have become widely accepted by all trade companies involved in annuals and bedding plants. Approximately 120 million plants of the Suntory varieties are sold throughout Europe every year. Since 1947 Meilland Nederland has been the licensor and distributor for Meilland International in the Benelux countries. Meilland International is also the main shareholder of MNP flowers. Senetti® is the name of a range of revolutionary Pericallis-Hybrids from Suntory Flowers Europe. Senetti® varieties thrive in low temperatures and provide high colour impact early in the season with up to 200 flowers per plant. Pericallis Senetti® are available in a wide range of vibrant colours including vivid blues, magentas, violets and stunning bicolours. The plants develop masses of large daisy-like flowers from early spring until summer and are best grown in 25 cm containers. When flowers start to fade, plants can be cut back to bloom again later in the season, extending consumer enjoyment. In 2003 MNP flowers and Suntory Flowers Ltd. released a true revolution in the horticultural industry with Sundaville® Red, the first truly red Mandevilla, which has excellent branching and rich flowering. 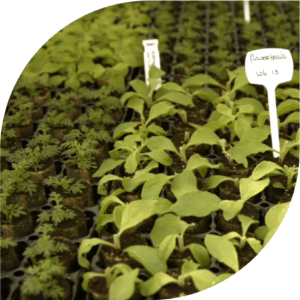 Sundaville® is a very strong plant for outdoor use in tubs and baskets. This Mandevilla needs very little water and provides a massive flower show all throughout the summer, making it a low-maintenance, user-friendly plant for every consumer. Sundaville® is therefore the No.1 Mandevilla (Dipladenia) on the horticultural market. Princettia®, the compact Euphorbia pulcherrima range, is a premium gift that can be given all year round. Available in gorgeous shades of pink and bright white varieties, which make it the perfect present for occasions like Valentine’s Day, Mother’s Day and Christmas. Princettia® plants are naturally compact with excellent branching and will produce many intensely coloured bracts and dark green leaves. Its resistance to lower temperatures also make the Princettia® assortment perfect for outdoor use in every garden and on every balcony. Join in the Princettia® experience! The original Beedance® range consists of compact bee & butterfly attracting Bidens with striking red and yellow colours. These strong and healthy plants are suitable for almost every climate and can be used as a patio plant, in balcony boxes, hanging baskets and as a bedding plant. There are two Beedance® varieties: Beedance® Painted Red and Beedance® Painted Yellow. Both of these are irresistible to bees and butterflies, creating biodiversity wherever they are planted. Because of its compact shape, Beedance® is easy to grow and therefore perfect for modern cultivation. It has a strong spreading and trailing habit, which makes it suitable for many situations, including borders and hanging baskets. Could it be the sparkling sunshine, the occasional refreshing shower, the gentle breeze or the tender loving care that we devote to our cuttings? Whatever the reason, Grandaisy® will add summer to your garden, patio or balcony. As the name suggests, Grandaisy® conjures up that special summer feeling: happy, care-free, innocent times, enjoying hot days and sultry evenings in the garden or on the patio or balcony. Grandaisy® is an uncomplicated, unassuming and understated plant that will give you summer every day. So it’s not just a pretty plant: Grandaisy® will put a smile on your face. Maybe that’s why consumers love Grandaisy® so much. Here it is! The Sundaville® Apricot! The biggest revolution in the world of Mandevilla (Dipladenia) since we introduced the Sundaville® brand. We are talking about the first Classic Sundaville® with a beautiful and exiting new bright orange color, the Sundaville® Apricot! Sundaville® Apricot has the same distinctive characteristics as the Sundaville® varieties from the Classic range. It has large, very long lasting, 9 cm apricot coloured flowers with a darker, orange-yellow heart. It boasts a good branching habit, blooms very early and flowers continuously. Sundaville® Apricot plants are best grown in 15 and 17 cm pots with support. This year (2019) we celebrate 30 years of collaboration between Suntory® Flowers Ltd. and MNP flowers. 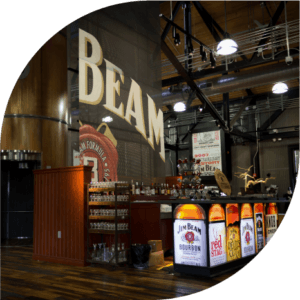 This partnership can be described as a phenomenal success story. With many plant introductions to come over the next few years, you can be sure that we will keep surprising you with stunning and innovative varieties from which we will all benefit. Join us for the next 30 successful years!